In 1831, Mr. Touery, a professor at the French Academy of Medicine, drank strychnine, a deadly poison, in front of all his colleagues. He survived. How ? He had combined the lethal dose with activated charcoal. "That's how powerful activated charcoal is as an emergency decontaminant in the gastrointestinal (GI) tract, which includes the stomach and intestines. 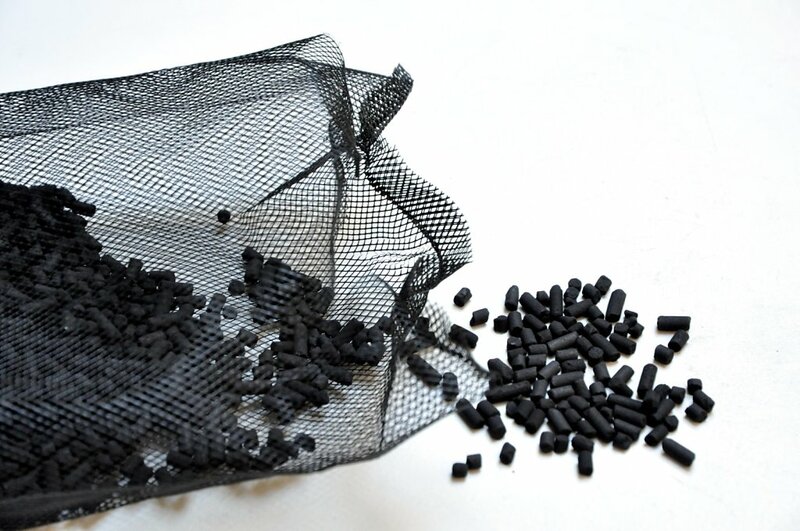 Activated charcoal is considered to be the most effective single agent available. It is used after a person swallows or absorbs almost any toxic drug or chemical." 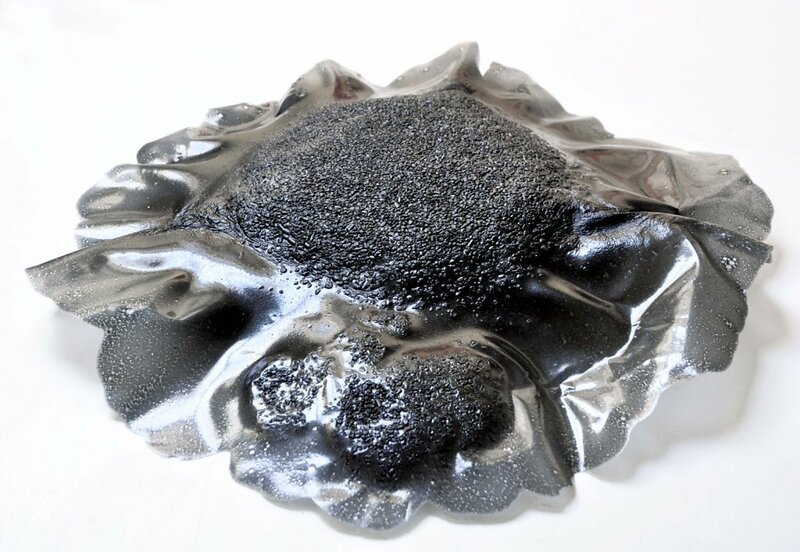 Activated charcoal is one material that seems especially applicable to Fab Lab makers, because of its ecologically sound and purifying properties. 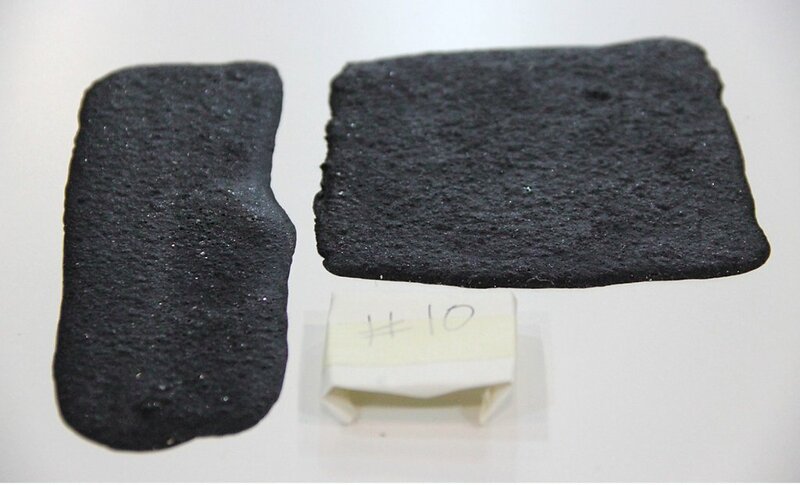 It is essentially a form of incredibly microporous carbon, processed from natural carbon-rich materials by applying various gases or chemicals to 'burn' in tiny holes and thus exponentially increasing its surface area. The result ? A material that can efficiently filter out all manner of impurities and toxins. A super-sponge, if you will. Bioplastics present themselves as an excellent and similarly sustainable substrate for activated charcoal with a wide range of uses. 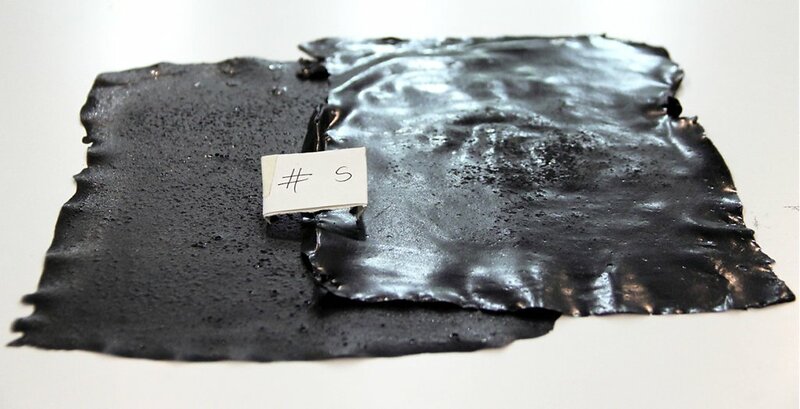 Restology is an activated charcoal and bioplastic composite, which I consulted on the design of in collaboration with Maria Luisa at Fab Lab Barcelona. Its main applications are in air filtration and reducing pollution. 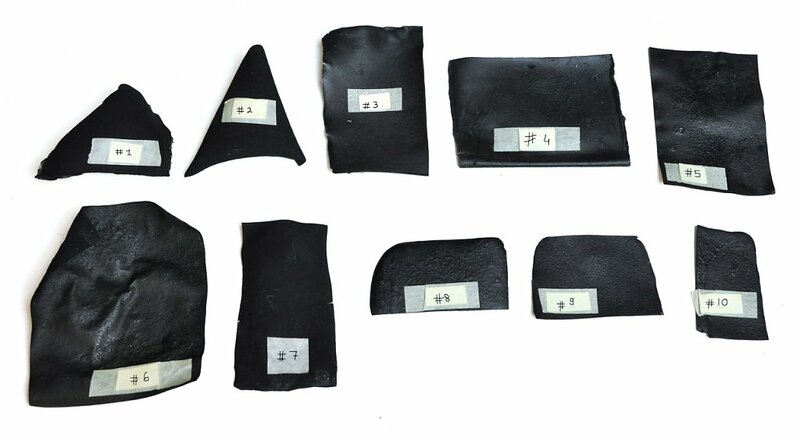 Also, because activated charcoal is conductive, it has potential in bioplastic-based wearable electronics. 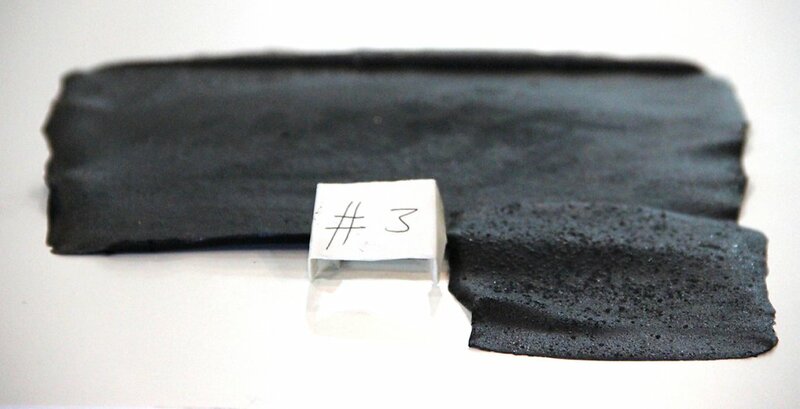 As bioplastic tech advances, the uses of this composite can only be expected to multiply. 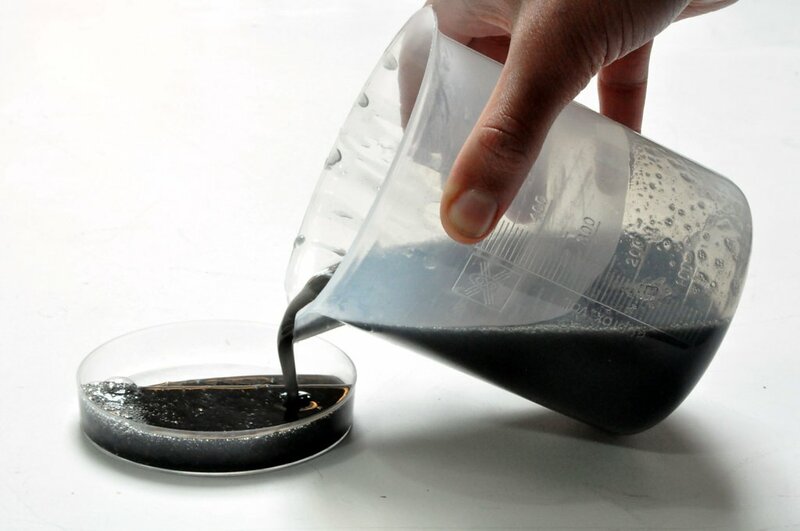 Project : Find the perfect recipe to create a filtering biocomposite with bioplastic gelatin based and activated charcoal. First, I put activated charcoal grains in the blender and transformed them into a powder. The glycerol is the plasticiser of the recipe. By experimenting with different quantities of glycerol relative to activated charcoal, one can influence the degree of flexibility of the mixture. I tried out 10 different recipes to discover the correct ratio of ingredients that provided the most appropriate amount of flexibility for its use as a filter. FIrst mix cold water and the gelatin powder, which forms a paste. Applying low heat , stir until the paste is free of lumps. Then add the glycerol and continue stirring until a white foam is produced. Remove this layer until the liquid is transparent. Then add the activated charcoal and stir until consistent. Finally, pour the resulting mixture into the acrylic mold. 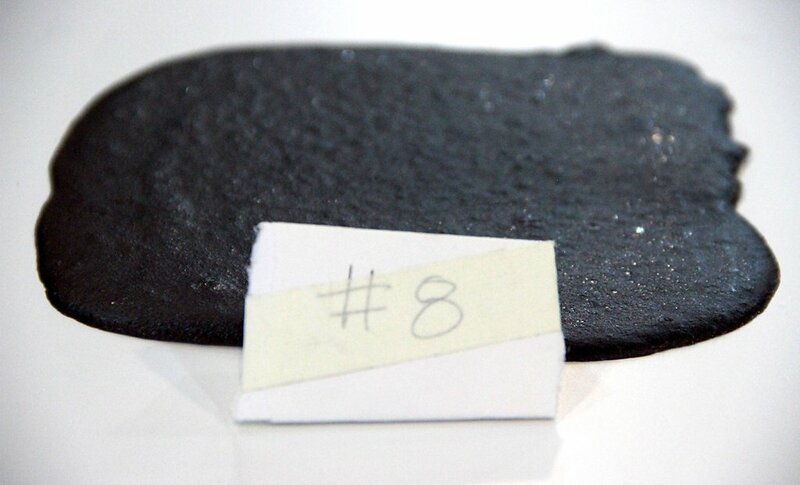 The activated charcoal reduce the drying time because it absorb the water faster. Wait 1 day before removing the samples from their support. With Maria Luisa we tried several recipes. We started by changing the amount of glycerol for playing with the flexibility of the biocomposite. Then, we wanted to see if the ratio between the amount of gelatin and activated charcoal was changing the consistency of the biocomposite. Maria Luisa told me that the eschew in her previous experimentations with her team was that the samples were cracking (breaking) after the drying process. Probably too much activated charcoal in the recipes used. We succed to have good results, samples with different flexibility (hard like a roc to flexible like rubber) and textures (Rough to Smooth and Matte to Shiny). Some of the samples were also conductive. -> future wearables ! ?